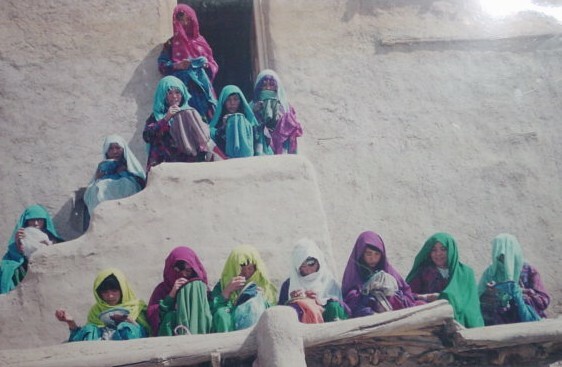 Tarshomar is the name for an embroidery technique that is traditionally used by the Hazara, an ethnic group of which the majority lives in Afghanistan. Recently this group has become famous for providing the stage-setting for the book and movie named 'The Kiterunner'. The Hazara have always been admired for their embroidery and weaving techniques. Tarshomar means literally ‘counting the stitches’ and consists of many small upright stitches next to each other, creating the typical diamond shaped pattern. The technique is very detailed and precise and is therefore very time-consuming. Covering the background completely with embroidery is therefore generally only done on smaller surfaces and borders. For larger surfaces a more open type of design is used. Tarshomar Embroidery can be found on antique bags and purses. 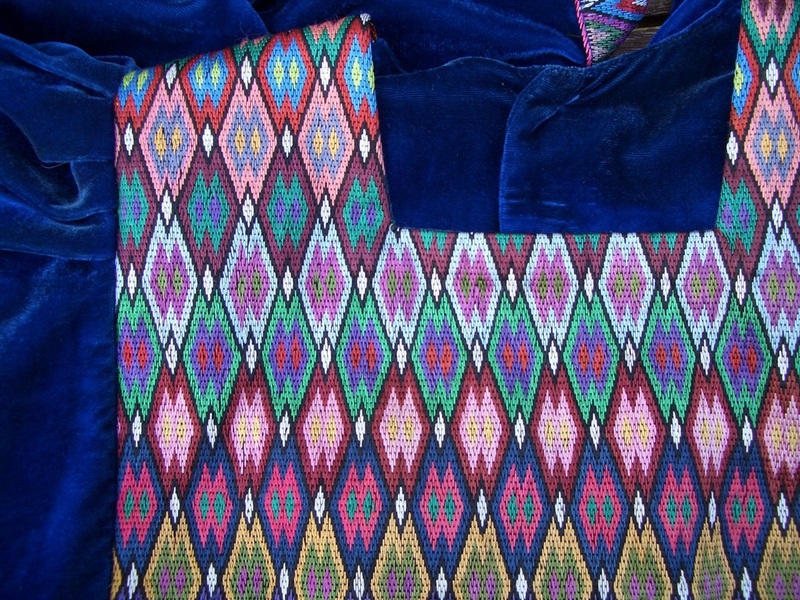 Made with more contemporary colours, the fabric- with its diamond shaped designs- looks remarkably modern. The collaboration between Strawberries Fabrics and Zardozi – Markets for Afghan Artisans dates back to 2004. 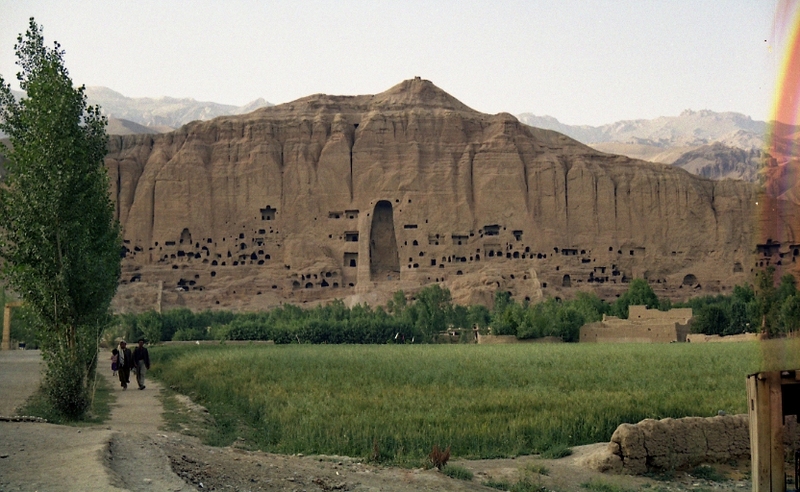 Zardozi specifically aims to connect the highly skilled, rural Afghan women with markets. All Zardozi’s trading operations are not for profit: all trading income is reinvested to create employment and livelihoods because the philiosphy is that “Women with income are effective agents of development”. 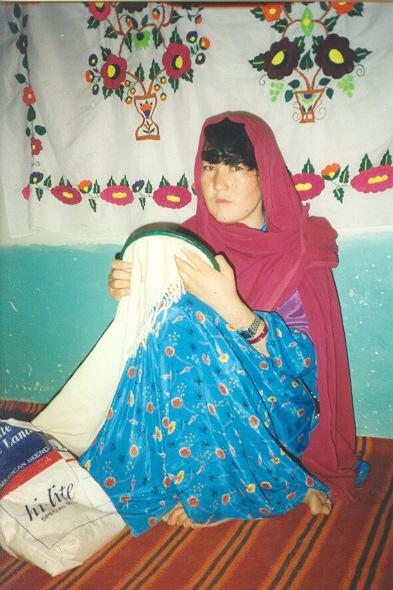 From 1984, the Sewing Center has been working with over 3000 Afghan families in refugee camps along the Pakistani border. 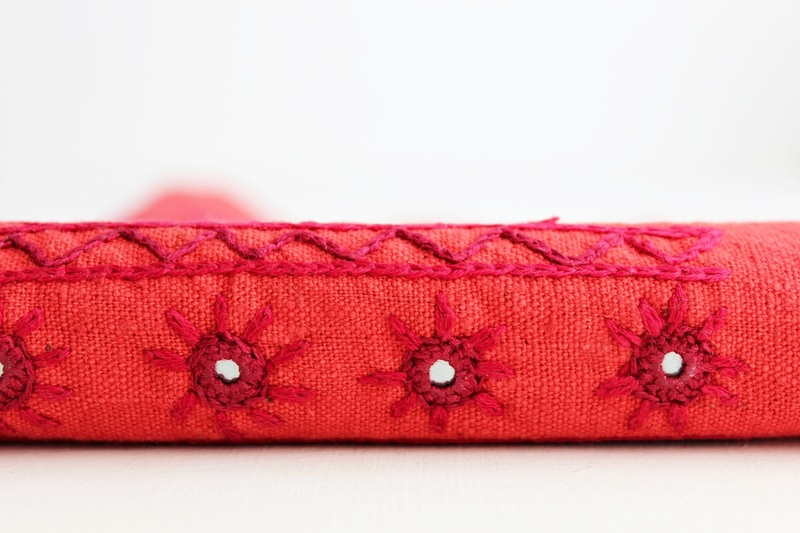 The Sewing Center marketed women’s embroidered accessories and gift items, so that refugee families could afford schooling and basic health care. 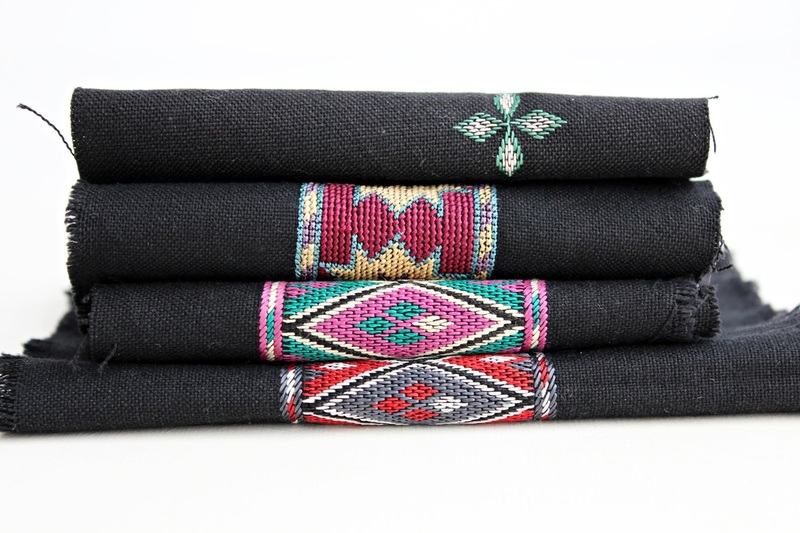 In 2005, Zardozi registered as an independent Afghan NGO, and assumed the Sewing Center’s proud tradition. In 2008, the majority of Zardozi’s embroiderers returned to eastern Afghanistan, from which Zardozi is currently operating.